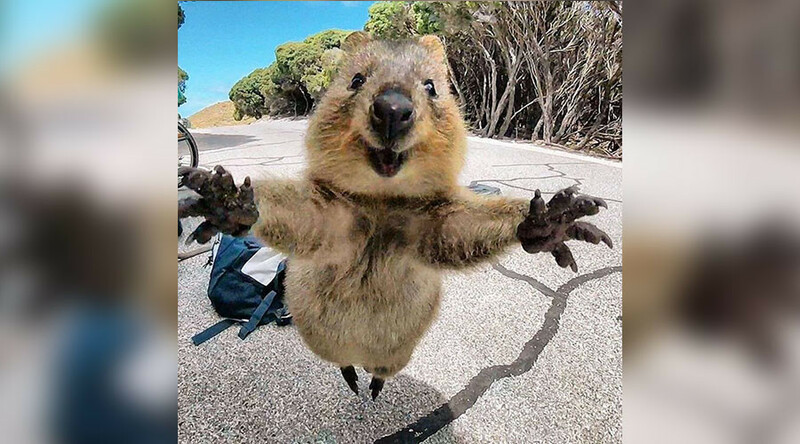 The quokka, a small tree-climbing marsupial about the size of a domestic cat, was caught on camera by 21-year-old Campbell Jones, while visiting Rottnest Island, off the south-west coast of the of Australia. The cute creatures are native to a number of Australian islands and are also found in bushland around the west coast city of Perth. However, they are relatively defenseless and their numbers on the Aussie mainland have been declining, due to wildfires and falling victim to predators such as foxes. “They just walk up to you. They are pretty friendly little things. We just went down to take photos of them and snagged a beauty, I suppose. It has been humbling that so many people wanted the photos,” said Jones. The Twittersphere echoed Jones’ sentiments, with many online commentators struggling to contain their happiness over seeing the cute animal. @katebevan Until now, I'd never even heard of a quokka. Lordy, they're cute!